One of the most anticipated dates for this year would probably be December 21st as this day would confirm whether all the theories and predictions about the end of the world are true or not. These theories have long been fueled by the belief (and as many would say, misinterpretation) of the Mayan calendar which finishes one of its great cycles on December 21, 2012. Among the many doomsday theories associated with this date include massive earthquakes, galactic alignments involving black holes, famine, civil wars, economic collapse and even alien invasion which are sensationalized by numerous internet hoaxes, Hollywood movies and cable TV shows. In fact, movies like the 2009 science-fiction disaster movie starring John Cusack, “2012” have exploited different theories related to this event to form the major storyline of the movie. But of course artists and designers will have their own interpretation of this event. And being the imaginative and creative minds that they are, there are a few of them that have found ways on how to share their ideas through illustrations and concept art. Here are three amazing artists and their take on how the world will look like after the apocalypse. 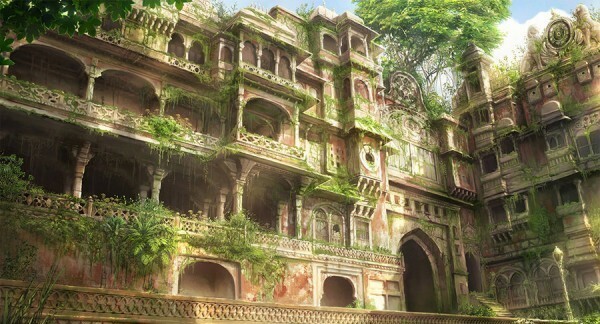 TOKYOGENSO (Tokyo Fantasy) – Tokyogenso is a Japanese game illustrator who has created numerous illustrations of the city of Tokyo in ruins after a cataclysmic event in his blog. Adobe Photoshop is his main tool for creating his eerie yet inspiring illustrations which combines the manipulation of images of existing infrastructures in the city of Tokyo with his interpretation of the future that is devoid of humans. JONAS DE RO – Another artist to give his creative take on doomsday is Jonas De Ro, a Belgian digital artist who specializes in concept art. His main focus is conceptual design for movies but he also has experience in game productions, music videos and advertising. His experience is evident in the type of sceneries he has created which features several famous world landmarks and buildings. NICK PEDERSEN – Nick Pedersen is an American multimedia artist and illustrator based in Brooklyn, New York. Most of his illustrations depict the conflict between humans and their technology with other living organisms and nature. In one of his previous projects, Nick Pedersen illustrates a world that is different from the one we know today. In his take on the future of Earth, the planet is devoid of man’s technological wonders and is overrun by nature. And there you have it guys. Do you think the idea of these three artists is farfetched or something that’s possible to happen in the near future? Share your thoughts with us by leaving a comment below.